Packaging machinery is an important feature in managing and branding your product. Your vertical bagger should improve your OEE (Overall Equipment Efficiency) and be a reliable, cost effective resource in getting your product to the consumer. We recently posted information on troubleshooting film related mechanical issues. It is our goal to ensure that your production runs efficiently and with as little unscheduled downtime as possible. With the continued mindset of sharing valuable information for plant operation and cost savings, let’s look at common electrical issues that arise in the field. Each machine part will have normal wear and tear that can lead to product failure. Unsurprisingly, if an electrical component is 20-30 years old, there is a high probability it will cease to perform its function. When this happens, there are a few options that can be considered depending on the malfunction severity or age of the product. Part or system can be rebuilt. Replace the RTD if the reading is bad. The safety relay is a device in the machine that determines if safety procedures have been completed. Have the doors been shut? Is everything in the correct position? If not, the machine will not run. The Servos’ Safe-Torque Off connector is wired correctly. If there is a lack of communication to the safety relay or if it communicates that something has not been completed, it will not allow the machine to start. Out of the areas mentioned, the two most common reasons the safety relay will not let the VFFS start is that the E-Stop is in the incorrect position and the doors are slightly ajar. It is rare for the safety relay to go bad, but if it does, the part can be replaced. The encoder is broken. This device is fairly delicate and often treated roughly. This usually occurs during the change out of the forming set. It is important to make sure the machine operators are trained on proper handling and treatment of this part in order to prevent damage to the encoder. The encoder is in the incorrect position. When the film is threaded down the forming tube, it is necessary to move the position of the encoder. It is common for the encoder to be left in an incorrect position after a film change procedure. If the Servo Drive shuts down it is typically due to normal wear and tear and would need to be replaced. It is important to note, however, that a plant needs to have adequate air flow or the servo motor will have a thermal overload reading and shut down. In a hot facility, for example, it is possible for the servo to have an overload problem every 30 minutes. Making sure your temperature and air flow is conducive for proper running of the vertical bagger. The PLC is included as an honorable mention because it is often unfairly blamed for failure, when it is actually another part or component. Or, let’s face it, sometimes user error. I have been guilty of this more times than I care to admit. I’m sure our IT administrator gets a headache whenever he sees my phone number pop up. Other than normal wear and tear or a need for updated software, the issues often attributed to the PLC may have to do with mechanical failures or problems listed as key electrical issues above. For example, a PLC program may be stuck in an operating state such as executing, holding, or suspended. This transition is not complete because a process was not completed, for example, the downstream equipment is not ready to receive product. 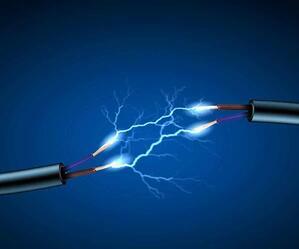 It can often be associated with another mechanical or electrical device. Integration is also an honorable mention because any electrical issues that arise are solved during the initial set up and start-up of the new VFFS machine and related equipment. Open communication and a clear relay of expectations are key to making this a smooth process for everyone involved. Remember, preventative maintenance is the top action you can take in preventing unscheduled downtime. However, should these electrical vertical bagging machine issues arise, you'll now have information to aide you in troubleshooting. I’d love to hear your thoughts on these issues or any you have experienced in the past.